Hillians Man of the Match, Pat Harding in action yesterday afternoon. 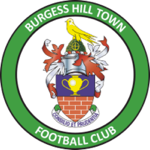 The Hillians suffered just our first defeat in six, with a 2-0 defeat to Bognor Regis Town. Simon Wormull made three changes from the side which started the goalless draw with Folkestone Invicta last Saturday. The Hillians started brightly, with Correia firing just over the crossbar following some good link-up play with Cadman, after just 8 minutes. McCollin was first to test ‘keeper Lincoln, as the Rocks stopper got down sharply to his low effort. In the 19th minute, Muitt had the visitors’ first chance, heading over the crossbar from close range. The Hillians’ best chance fell to Richmond, who’s header was somehow cleared off the line. The Rocks’ best chance came moments later, as James somehow kept Muitt’s header out. The visitors took the lead in the 56th minute, through Muitt’s penalty after the referee adjudged Jonah to have fouled his man. Both sides enjoyed spells of possession in the second period, with neither fashioning many clear-cut chances. 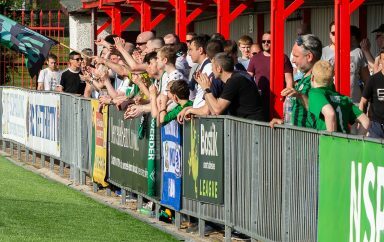 As the game headed into the final 15 minutes, the Hillians began to rally, with Lincoln not once, twice, but three times producing top saves to deny Wormull’s men. 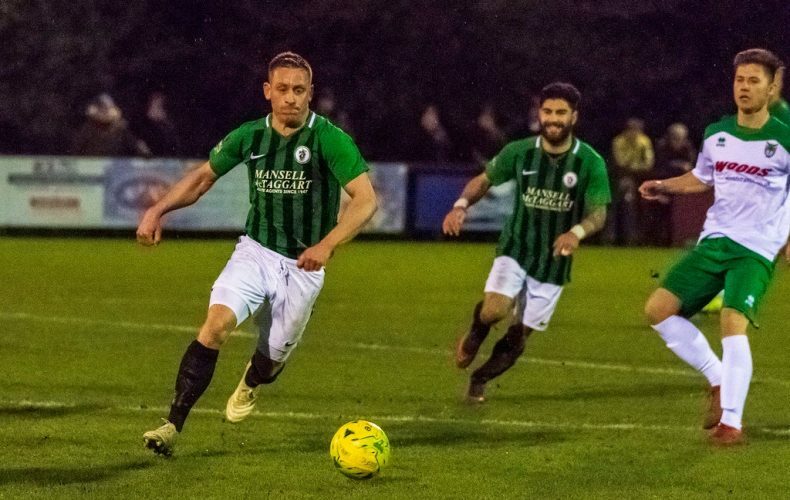 The Rocks survived the Hillians onslaught, before breaking into an attack of their own, as Muitt doubled his tally to take home the points. 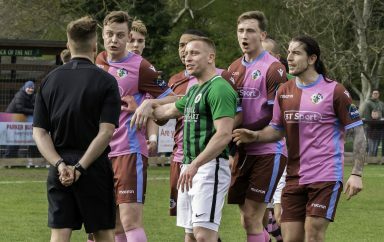 A difficult one to stomach for the Hillians, who must have thought they were deserved of a point. 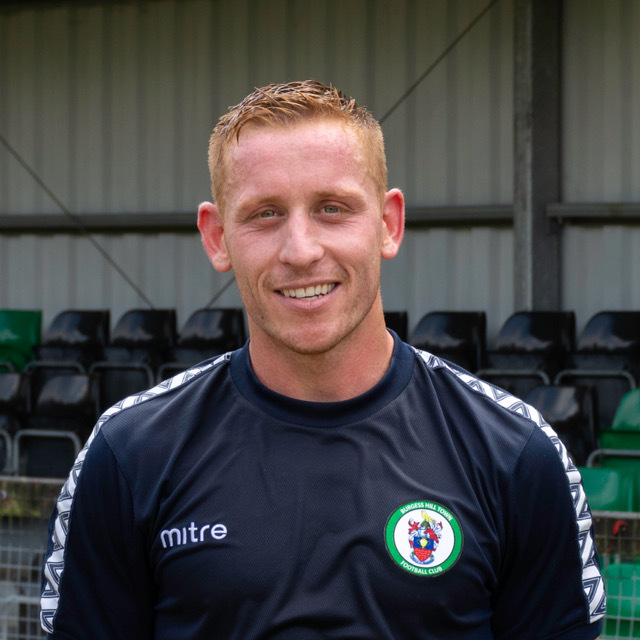 The Hillians MOTM was awarded to Pat Harding, who’s exceptional work rate in the middle of the park gave the Hillians a continued energy throughout. Next up, we turn our attention to the Velocity Trophy.